Family members of a London pensioner and former Pakistani army officer accused of selling the secret location of Osama bin Laden to the CIA have flatly denied the allegations. Usman Khalid, who died last year at age 79, was identified by prominent Pakistani journalist Amir Mir as the spy who tipped off American intelligence services. The White House maintains the operation to find and kill Bin Laden was orchestrated solely by US forces and that the Pakistani army and Pakistan’s Inter-Services Intelligence (ISI) unit was unaware of the raid. Writing in Pakistani media outlet The News International last week, Mir alleged that Usman Khalid and his entire family were given American citizenship in return for disclosing Bin Laden’s whereabouts. He cites “well-informed intelligence circles” in the stronghold of garrison town Rawalpindi as his source. “My father had lived here since 1979 so there was no question of him or his family getting American citizenship,” said Khalid. Khalid was an outspoken critic of Pakistani politics after claiming asylum in London 35 years ago. The ex-brigadier resigned from a 25-year career in the army in protest at the execution of Zulfiqar Ali Bhutto in 1979, the former prime minister and father of Benazir Bhutto who was assassinated in 2007. Writing in the London Review of Books last week, Hersh sought to debunk the US government’s account of the Bin Laden raid. He said that the official story of Bin Laden’s death was an elaborate fiction which boosted Obama’s popularity and helped secure his reelection in 2012. Citing a retired US senior intelligence official, Hersh claimed that Pakistan’s ISI agency was aware of Bin Laden’s location and was keeping him prisoner as “leverage” against the Taliban and al-Qaida in Afghanistan and Pakistan. “They let the Taliban and al-Qaida leadership know that if they ran operations that clashed with the interests of the ISI, they would turn Bin Laden over to us. 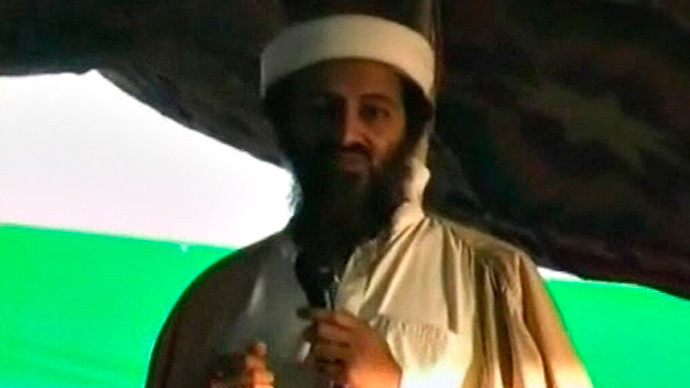 So if it became known that the Pakistanis had worked with us to get Bin Laden at Abbottabad, there would be hell to pay,” Hersh quoted an anonymous source as saying.